For those of you who are looking to assemble a percussion rig or looking for instruments that allow you to play your diverse styles of music N Stuff Music is the place to shop. Here we are unlike many of the music stores and corporate chains that are only interested in selling guitars and amps. Instead, you can find a diverse selection of instruments because we know just how vast the genres of music are that are performed live today. 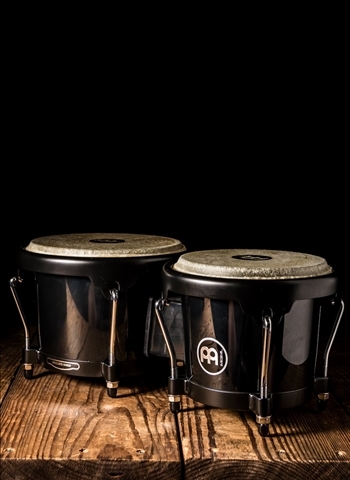 Our selection of percussion instruments such as the bongos is second to none in the region. 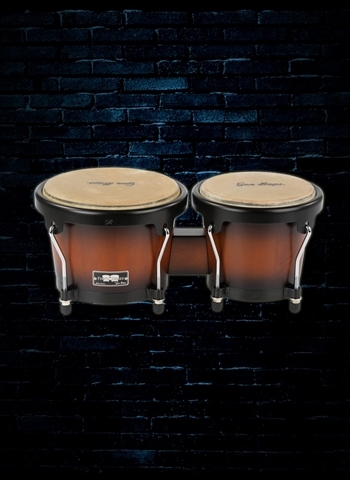 For a wide selection of bongos in brand, style, and price visit us here at N Stuff Music and you will not be disappointed. First, let us discuss a little about the bongos and their history. 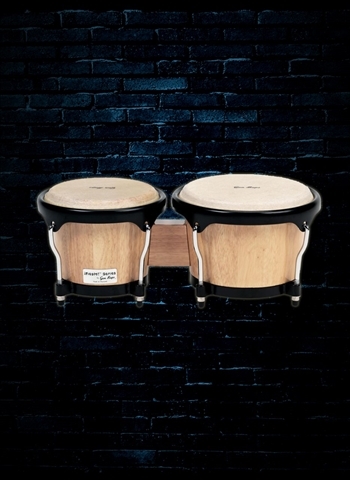 The bongos are an Afro-Cuban percussion instrument that is essentially two, open-bottomed drums that are attached and pitched at two different pitches. 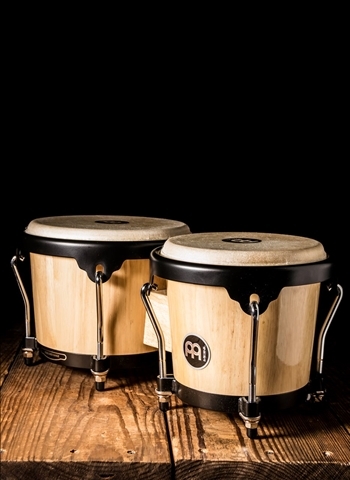 Bongos are among the most popular type of hand drum that you can find being regularly used, performed with, and recorded. 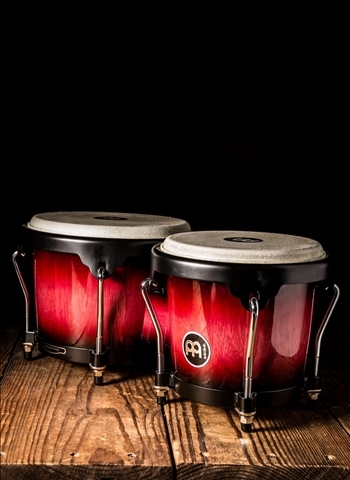 Bongos can first and often be found being used in salsa music and Cuban jazz originally, but they have stemmed far beyond their original musical intent. 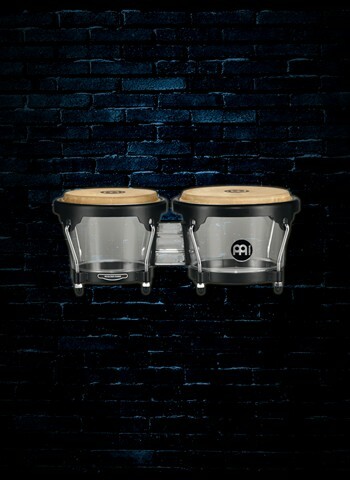 Today you can find a variety of situations in which bongos are used especially in acoustic music where they allow you to control volume and playing alongside acoustic guitar and other acoustic instruments. Bongos can be a powerful or delicate sound depending on the player's nuance when striking the drum heads. 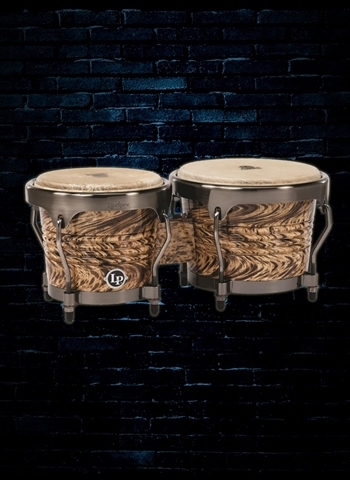 You can find a wide variance in the material, design, and craftsmanship of different types of bongos. At N Stuff Music we have an exceptionally wide selection of bongos so our clientele can surely find the ideal set for their playing. Bongos are made with wood and typically use animal skin or plastic for the heads. 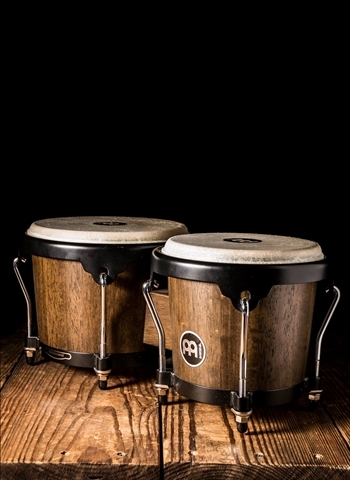 Our selection of bongos contains lots of variance in both the type of wood and the type of head material. 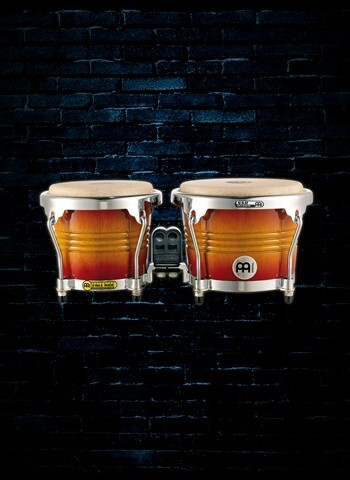 For percussionists looking for an affordable but quality set of bongos we carry a variety from Meinl and Gon Bops that will surely provide great playability and tone but at affordable prices so you won't have to break the bank. 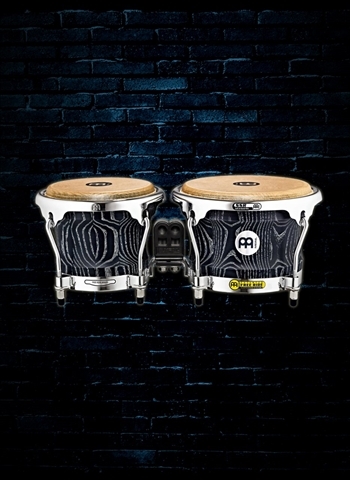 If you are looking for a high-end set of bongos you may be interested in the Meinl Woodcraft Series bongos which utilize American White Ash, true skin cow heads, and the patented Meinl Free Ride Suspension System. 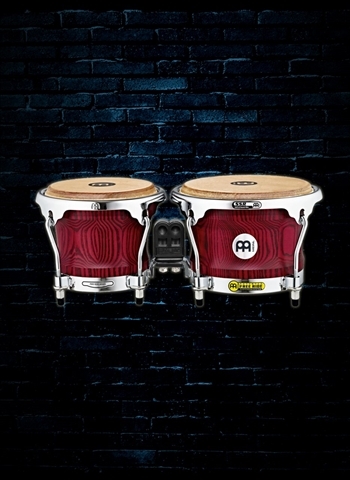 Do you have a price range in mind but aren't sure what models of bongos to checkout within that range? No problem, just contact us and we will gladly tell you the models that are within your budget and what varies between each model. 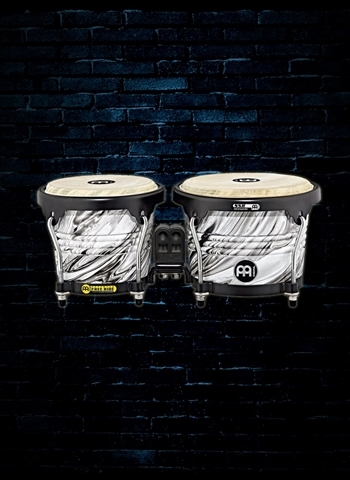 At N Stuff Music you can find the best selection of bongos and other percussion instruments for any variety of diverse music you might be playing. Few stores will take the level of care and attention necessary to satisfy your customer needs like N Stuff Music. For the best in selection of inventory and customer service contact us today at N Stuff Music.